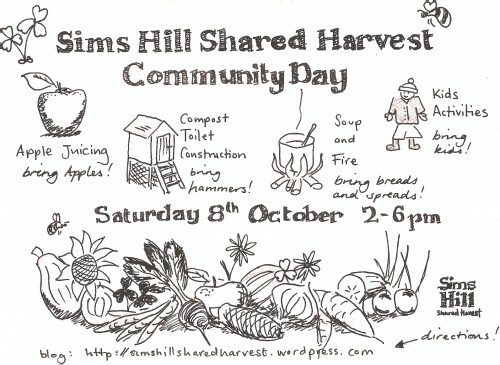 Sims Hill Shared Harvest Community Day 8 October! Please also bring bowls, cutlery, and mugs! ‘Nuff said! See you there!